Two of Disney Junior’s newest stars, Doc McStuffins and Sofia the First, have joined the cast of Disney Junior Play ‘n Dine at Disney’s Hollywood Studios, marking Doc’s Walt Disney World debut. 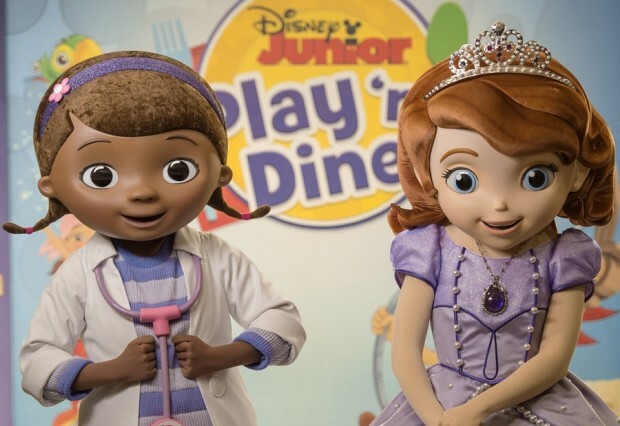 The duo joins Handy Manny, Jake from “Jake and the Never Land Pirates” and the hosts, Disney Junior Pals, for breakfasts and lunches at the buffet-style Hollywood & Vine restaurant in Hollywood Studios. I’m traveling to orlando on 27 to 30 my daughter wants to meet Sophia when where, when, and what time can I meet her and do I have to make reservations?